Seven years after Tropical Storm Irene hit Vermont, our region’s rivers and communities are still bearing the scars of the flooding. Rebuilding our communities and letting our rivers find their natural balance after such a significant event takes time. An example of a project occurring in Windham County to address future flood resiliency is in the narrow and steep valley of the upper portion of the Whetstone Brook along Route 9 in Marlboro, VT. The Windham County Natural Resources Conservation District (WCNRCD) was awarded a grant though the Vermont Department of Environmental Conservation’s 2018 Ecosystem Restoration Program to design a river channel restoration project. The WCNRCD is working with Marlboro Collision & Towing and Fitzgerald Environmental Associates to design a project that will restore water quality, protect aquatic habitat and provide floodplain protection during future events. This project serves to move the Whetstone Brook closer towards equilibrium and improving water quality by decreasing the sediment and nutrient inputs coming into the river from this site. 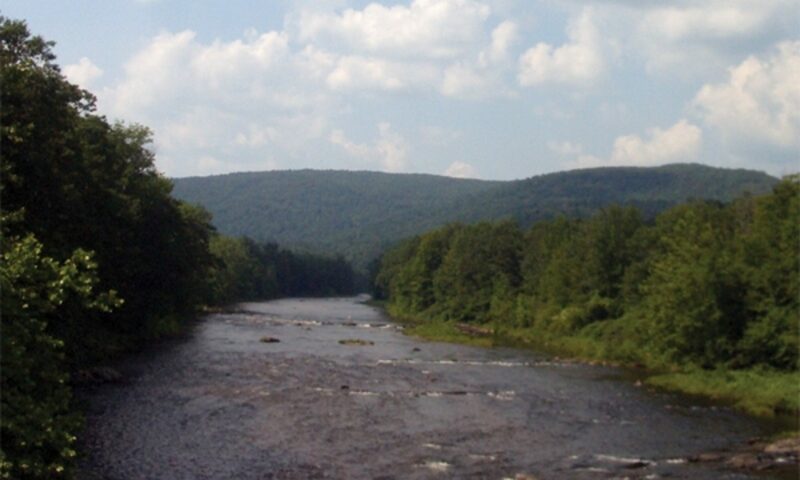 The WCNRCD is pleased to partner with landowners such at Marlboro Collision & Towing, Fitzgerald Environmental Associates and the State of Vermont to address river restoration and water quality issues. Roselily Farm of Brattleboro, VT will host a farm tour on Wednesday, November 14 from 10am to Noon. The farm tour will look at conservation practices on a small farm. There will be a focus on the purpose and benefits of soil testing, nutrient management for small farms and the tour will highlight different conservation practices installed on the farm, such as permanent fencing and buffer plantings. Roselily Farm is a pasture-based beef and pig operation. They have installed several conservation practices on the farm over the years such as permanent fencing to keep cows out of the small streams on their farm and tree plantings. The farm tour will highlight these conservation practices as well as discuss challenges a small farm faces while addressing the Required Agricultural Practices. Geof Dolman, owner and farmer of Roselily Farm, is on the board of the Windham County Natural Resource Conservation District. Drew Adam, a soil scientist and representative of the Vermont Association of Conservation Districts and the Natural Resource Conservation Service, will talk about the purpose and benefits of soil testing. He will demonstrate soil sampling techniques and will discuss what soil testing results can tell us and inform practices on our small farms. Linda Corse, a board member of the Connecticut River Watershed Farmers Alliance will be at the pasture walk. She will talk about the work of the CRWFA, whose mission is to practice land stewardship for clean waterways, productive landscapes and the economic sustainability of our agricultural community, and how farmers can get involved. The State Natural Resources Conservation Council Chair, Rick Hopkins of East Montpelier, today announced the availability of nominating petitions for the statewide elections of District Supervisors in each of the fourteen Natural Resource Conservation Districts. The Windham County NRCD is accepting petitions for one full term (5 years) and one partial term (1 year) Supervisor. Natural Resources Conservation Districts are local subdivisions of state government established under the state’s Soil Conservation Act to cooperate with landowners and municipalities in applying conservation practices to the land. Conservation Districts sponsor and coordinate educational, technical and financial assistance to address water quality and the conservation of natural resources. Conservation Districts offer a unique and powerful vehicle for citizens to become involved with local conservation work and establish programs that protect their environment. Please visit www.windhamcountynrcd.org for more information about the Windham County Conservation District. To have your name placed on the November 27, 2018 election ballot for the office of District Supervisor for Windham County, a person must have a minimum of twenty five (25) signatures on nominating petitions. Anyone owning one or more acres of land and residing within a District may run for, or sign a nominating petition. One supervisor for each District board will be elected for a term of five (5) years beginning January 1, 2019. In addition to the full 5 year term, Windham County NRCD is also accepting petitions for a 1 year term to fill a current vacancy. The deadline for submitting nominating petitions to your local Conservation District office is November 12, 2018.